Agricultural Engineering prepares professional engineers for rewarding careers focusing on the systems, processes, and machines that are used to generate or utilize energy, food, and water. ***GPS satellite position control was adapted for construction and agricultural vehicles before the automotive with auto guidance accuracy to 1 cm on varied terrain. Biotech is now being developed to monitor plant and seed DNA onboard for national security and high value pharmacological crops. Agricultural Engineering is a leader in the application of new sensing in vehicles subjected to hostile environments. *** This program provides students with background in mechanical design, hydraulics, instrumentation and control, finite element analysis, electronics and sensors to design, develop, analyze and operate machines and systems for agricultural and biological products and processes, materials handling, construction and mining, forestry, lawn-and ground-care, and food and fiber production and processing. Watch a video and then take a look at some senior projects. Agricultural Engineering is a major within the Agricultural and Biological Engineering (ABE) Department. ABE faculty are members of both the College of Agriculture and the College of Engineering, and there are multiple entry paths for students who are interested in ABE majors. 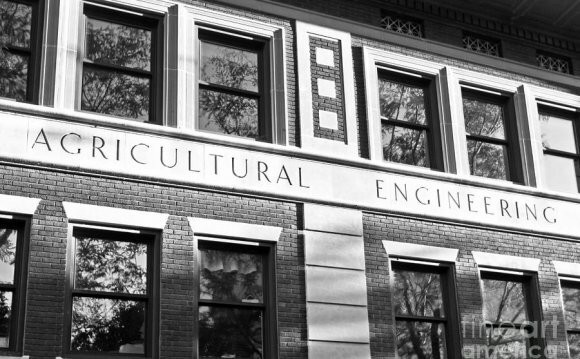 First-time college students may apply to "Agricultural and Biological Engineering (Pre)" in the College of Agriculture or they may select "Engineering" in the College of Engineering, where they would begin in the First-Year Engineering program. The first-year curriculum is the same for each path. Transfer students who have fulfilled the first-year requirements of this engineering program may apply directly to Agricultural Engineering in the College of Agriculture. Transfer students who have not met the first-year requirements may apply to Agricultural and Biological Engineering (Pre). The Purdue Varsity Glee Club is the principal vocal group of Purdue University.